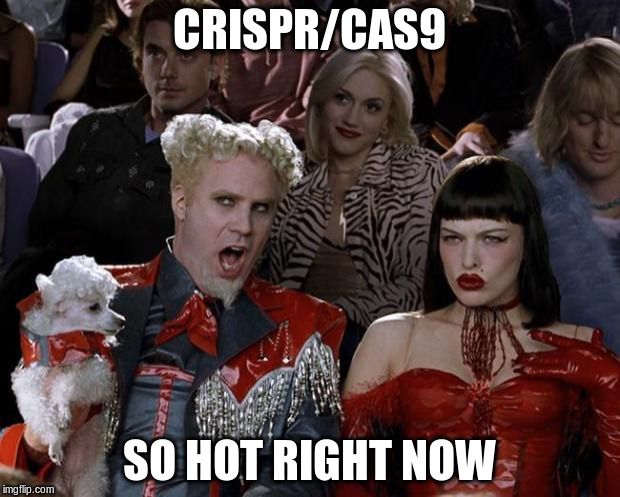 Posted on November 4, 2015 November 3, 2015 by scaldwell17Posted in Technology, Untranslated ElementsTagged CRISPR. Next Next post: How Spicy Would You Like That Chemotherapy? Do you reckon the antiviral function of crispr could be adapted for use in human cells against, say, HIV? Is that a thing people are working on? I can almost guarantee someone’s working on it. It’s compelling to think you could program a sequence to target and break down hiv-specific genes and excise them from immune cells. And CRISPR could fill some of the unmet need there, but the problem is total eradication, how do you take the virus out of every cell in the body? Any gene editing in those cells will have some amount of side effect making it too hard to use for eradication. Especially when HAART has turned HIV to a chronic treatable condition (in the first world), the risk of something so invasive just wouldn’t be worth it. I’d call that application a pipe dream, but making single-gene knockout organisms within 6 months was a pipe dream just 4 years ago, so. But say if you made some iPSCs from a patient and turned them into T-cells, adding in the CRISPR immunity. Inject them back into HIV+ person and eventually HIV could kill off all the CRISPR-/- T cells leaving only the CRISPR+/+ cells (i.e., HIV immune) behind, which would continue to function like regular T cells for all intents and purposes. Maybe. For the circulating cells this might be possible, but the bigger challenge is the virus hanging out in reservoir cells like dendritic cells. How to modify those without negative effects is a gigantic challenge. Disclaimer: not an immunologist, virologist, or doctor. I just noticed this post and I really enjoyed your thoughts. There was the summit a couple of weeks ago about the ethics of human gene editing techniques. I was thinking about writing about that. Any thoughts?